When it comes to keeping your refrigerator running, a little bit of maintenance can go a long way. You can not only extend the lifespan of your appliance, but also improve it’s energy efficiency with this simple DIY tune up. Step One: Clean the interior. A clean refrigerator starts with the inside. 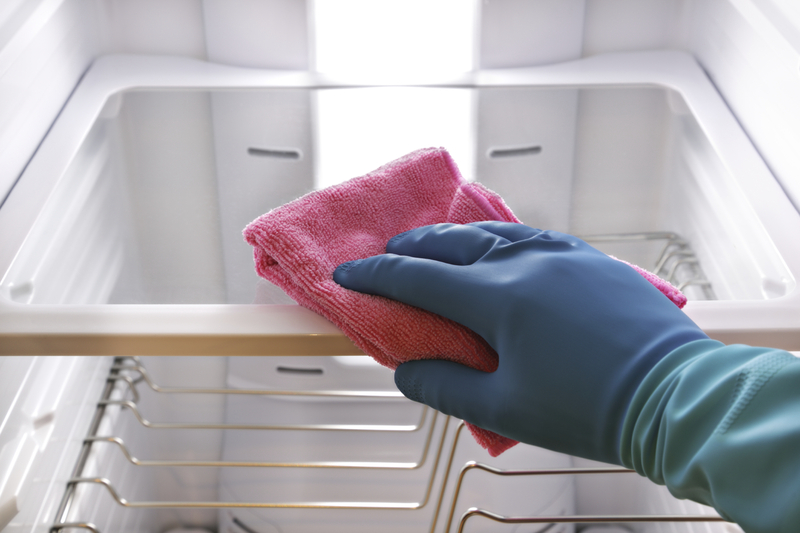 Remove all food items from your refrigerator and thoroughly wipe down the interior walls, shelves, and drawers. Discard any expired food items and restock your fridge. This will help prevent bacteria growth and unpleasant odors. Step Two: Vacuum the condenser coils. The condenser coils are located on the back of most units. These long, windy tubes are responsible for releasing heat. When they are coated in dust, they cannot effectively do this, and your refrigerator will suffer. Clean these coils using the brush attachment on your vacuum cleaner. Step Three: Clean and lubricate the gasket. The rubber door seal (known as the gasket) is usually one of the first components to break on most refrigerators. Inspect yours for cracks, holes, and loose edges. If you notice any of these signs, replace the gasket immediately. Otherwise, wipe it down with a soapy cloth and apply a thin layer of Vaseline to prevent it from drying out. Step Four: Replace the water filter. When was the last time you replaced your water filter? A dirty filter can lead to dirty water and ice. Not only does it taste bad, you could be exposing yourself to harmful bacteria. Changing the filter is an easy process; refer to your owner’s manual for specific instructions for your model. This routine should be performed every 3-6 months for a healthy, happy refrigerator! Speedy Refrigerator Service provides in-home refrigerator repairs and tune ups to residents of Long Island and New York City. We specialize in all makes and models of refrigerators, freezers, wine coolers, and ice makers. Our phone lines are open 24/7, so call us anytime to schedule an appointment at 866-782-9376.